Negotiation is a critical step when you are job searching or trying to move up the ladder in your company. 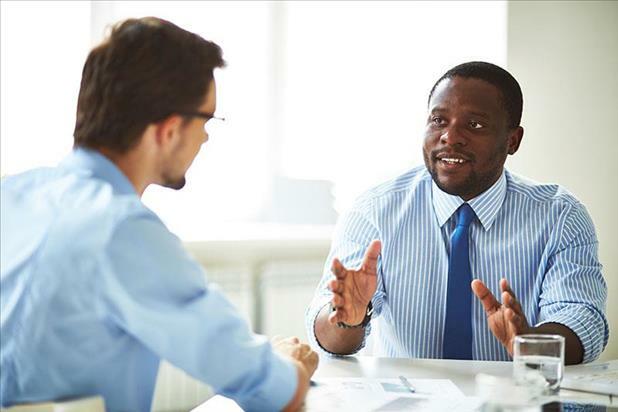 If you are employed and looking to advance, performance reviews are a great opportunity for you to negotiate salary, bonuses, benefits, stock options, and other incentives that add to your satisfaction as an employee and provide financial security. Taking control of your job search before you receive an offer and conducting research that takes into account more than just financial considerations can lead to your overall happiness. The negotiation process allows you to define, convey, and achieve what you want out of your job offer. In order for you to get an offer for your ideal job, you will first need to do your homework. The first step in the negotiation process is to understand the basics. It is crucial that you gather information/data, plan your approach, consider different viewpoints, communicate clearly, and make decisions that will help you reach your goal. The book, "Job Offer! A How-to Negotiation Guide" by Maryanne L. Wegerbauer explains how each party involved in the negotiation can fulfill specific needs and wants of each other, a concept called "relative power." Wegerbauer says understanding your strengths and resources, responding to the needs of the other party, and knowing your competition will allow you to assess your bargaining position more clearly and accurately. Negotiation consists of two major steps, planning (research and strategy) and communication (information exchange/agreement). During the planning phase, obtain as much information using both the company’s written and unwritten signals to map your skills against the company values. Timing is key; you need to remember the best time to negotiate with the employer is after you receive a serious job offer and have accepted it. Once you are clear about the initial offer you can convey interest, but it is always recommended to take some time to consider the job offer. In some cases you can split up the negotiation session into two meetings, one to determine the job design and responsibilities and the second meeting to review compensation and benefits. Whatever you do, don’t make an impulse decision. If an employer really wants you on their team, there is time. Always consider the alternatives because counteroffers are expected during the negotiation process. It is important to acknowledge that different companies can give negotiations more or less latitude. Small companies could be more flexible while large, bureaucratic companies may not. Negotiation is a two-way process where you and your prospective employer are trying to reach an agreement. During a negotiation, you are both designing terms so that each party will receive the maximum benefit from the final agreement. You want to remember that it is easy to just accept a position without putting much thought into the details. Consider the power factors, conduct research, and learn about the job perks to really negotiate the best employment opportunity possible.